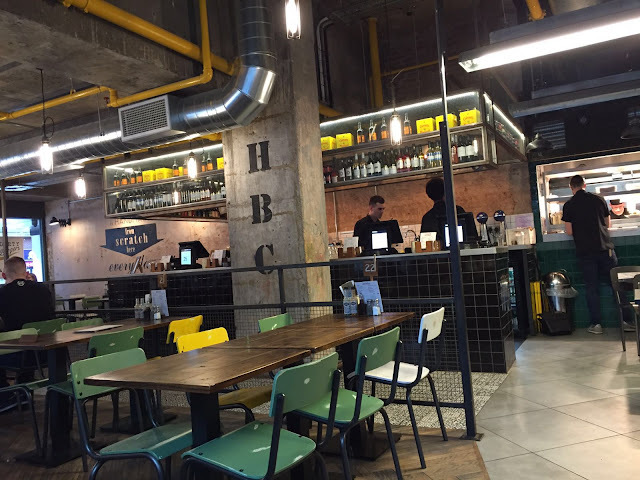 Last week we got invited to eat at Handmade Burger Co in Nottingham, I'd never heard of it before but after checking out their website we were really excited about trying it out. 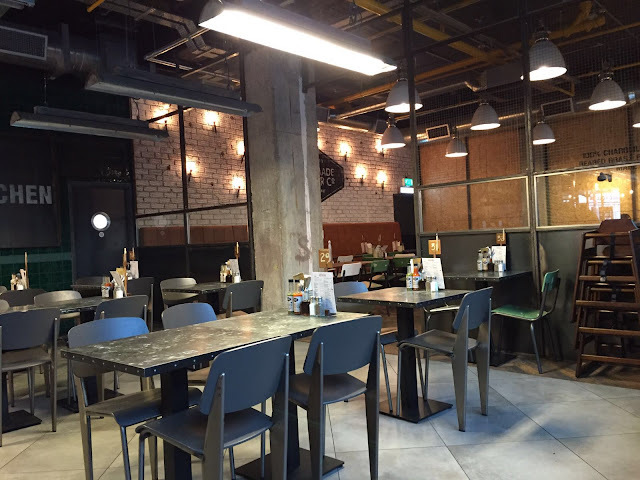 The Nottingham restaurant is located in the Victoria Centre on the ground floor, the interior is really modern and industrial looking which I love, we were greeted by their super friendly staff and shown to our seats straight away even though we were a little early. 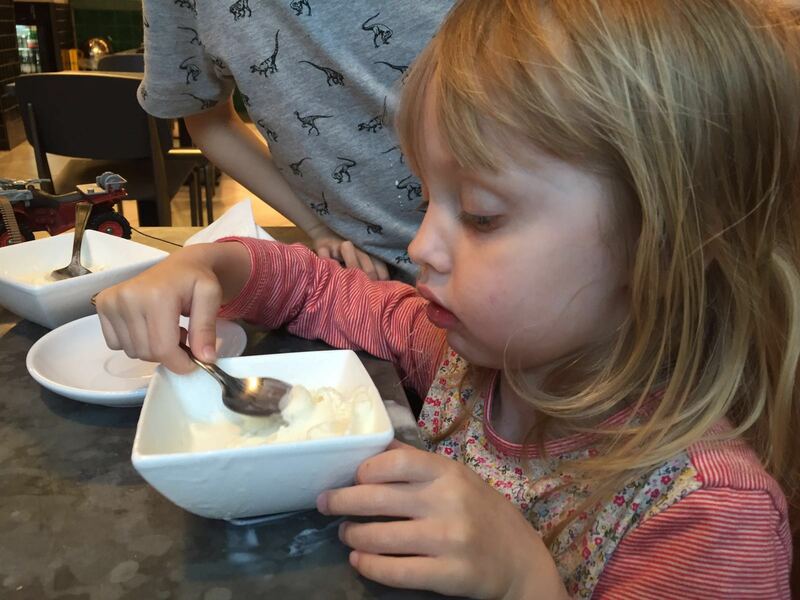 The children were well catered for with colouring and activity sheets and crayons to keep them entertained while we browsed the menu. 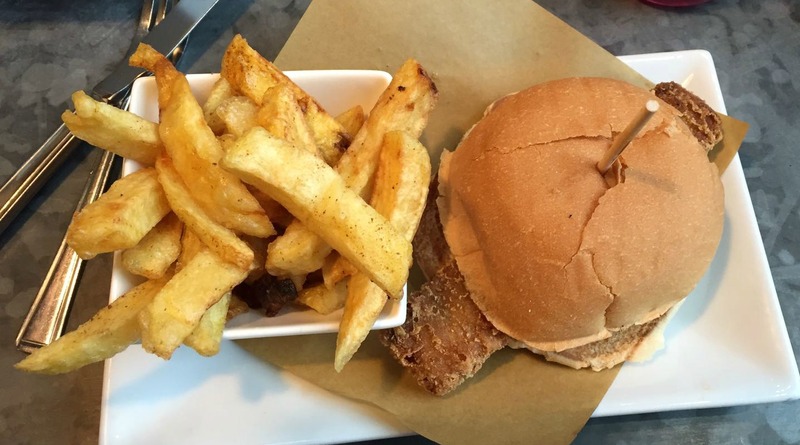 Handmade Burger Co source only the freshest ingredients and for the beef they use Aberdeenshire's finest as they love the distinctive flavour and quality. They also use beef from Jimmy's Farm (Jamie Oliver's mate) who supply them with rare-breed free-range beef that has been marbled and slowly matured for three weeks. Now I have to admit that I'm not a huge burger lover, not because I don't like them but because I'm extremely fussy when it comes to red meat and if I'm eating out I would never normally order a burger so I was a little nervous that I wouldn't be able to eat mine. 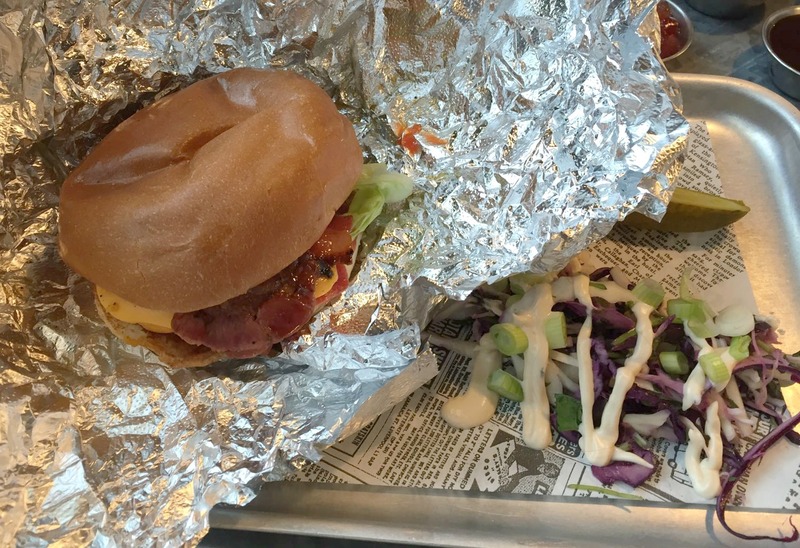 I chose a Dirty Burger after much deliberation and I went for the Cheese & Bacon burger which is made up of a beef patty, American cheese, maple coated bacon, lettuce, onion, ketchup, HBC sauce and is served on a fresh buttermilk bun with jalapeno slaw and a gherkin and I absolutely loved it. The quality of the beef was top notch and I thoroughly enjoyed every bite. 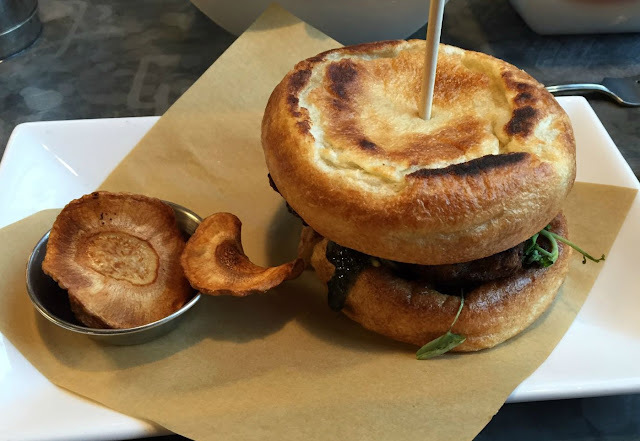 My husband wanted to go for something a little different so he ordered a Lamb & Mint Yorkie burger which was a lamb patty on a bed of watercress and caramelised onions and mint sauce served between two yorkshire puddings. He really enjoyed it as he's a big fan of yorkshire puddings and he loves any kind of meat so this was right up his street. 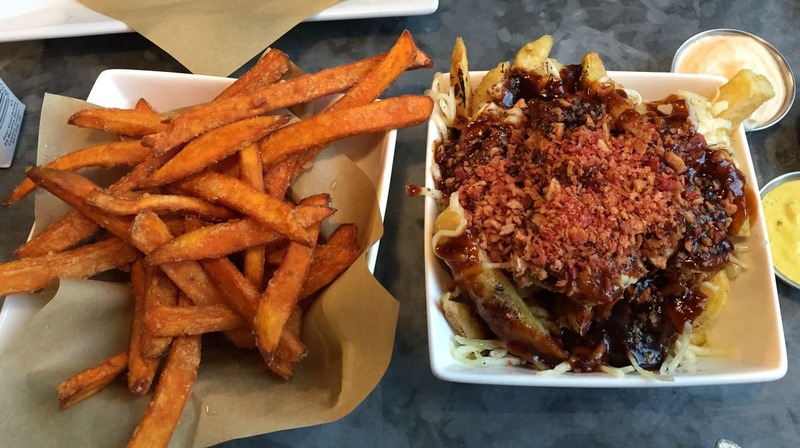 You order your chips separately and I went for sweet potato fries which were honestly the best ones I've ever had, they were so good! Ian went for the Denver Chips which are handmade chips topped with their slow n low six hour cooked marinated pulled pork, melted cheese and HBC BBQ pit sauce, topped off with bacon bits which were absolutely amazing and a definite must try. 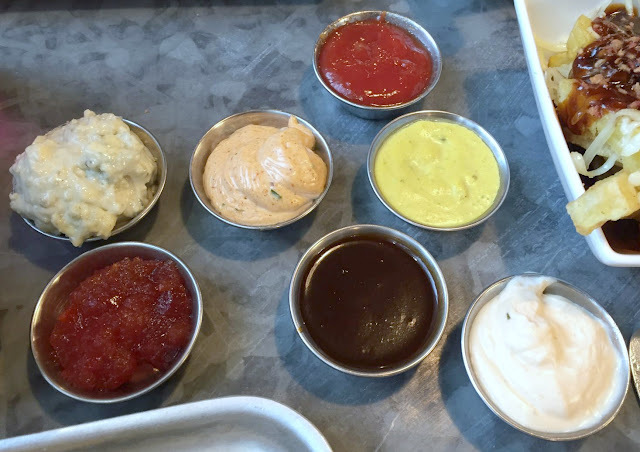 We also had a selection of dips which made me very happy because I'm all about dips, they were all really good but my favourite was the blue cheese mayo which was so, so good with the sweet potato fries, absolutely delicious. There is a great kids menu with a good variety of options, my two can be quite fussy so I wasn't sure what they would have, Riley chose the Just Chicken which was chargrilled mini British fillets and chips and Summer for some strange reason insisted on the Junior Fish Finger Classic which we thought was an odd choice for her as she doesn't like fish fingers but when it came it was battered not breaded and she really enjoyed it. 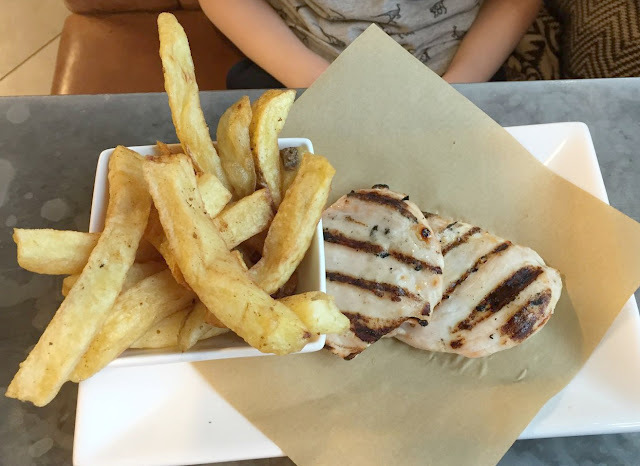 Both kids ate really well and only left a few chips which was unusual for them as they're hit and miss with food so they must have really liked it. We couldn't leave without trying a dessert, there isn't a big dessert menu but there are a few epic sundaes available and we opted for the Strawberry Cheesecake one to share which was huge and totally scrummy. 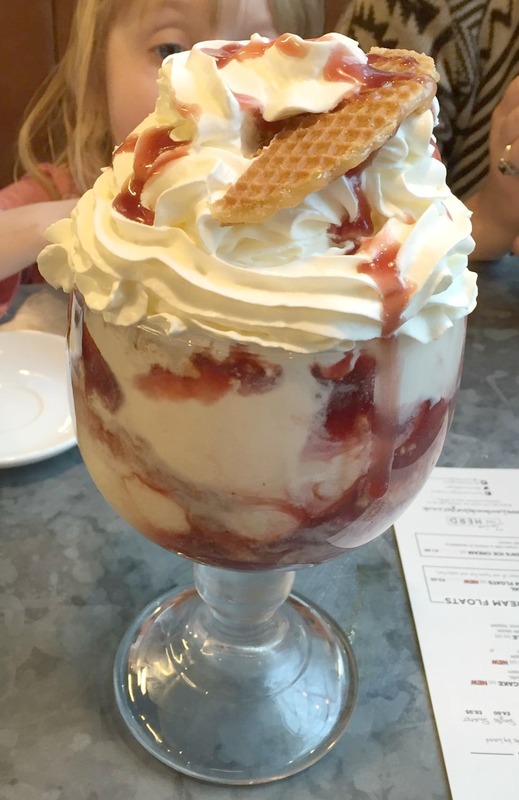 The kids had vanilla ice cream which they loved and then Riley started eating our sundae too which is very adventurous for him as he only ever eats plain ice cream and the sundae had strawberry sauce, biscuits and cream in it, it was great to see him try something new and really enjoy it. We all loved our evening at Handmade Burger Co, the staff were so friendly and accommodating, the atmosphere was very relaxed and comfortable and most importantly the food was outstanding. We'll definitely be back again especially since the gave us a reward card which gets stamped every time your order a burger and entitles you to freebies as you collect more stamps. Check out their website to find your local Handmade Burger Co, you can also find them on Twitter, Facebook and Instagram.